Everything about this Villa is amazing. The owner was very helpful and easy to get in contact with. We felt very safe throughout our stay. 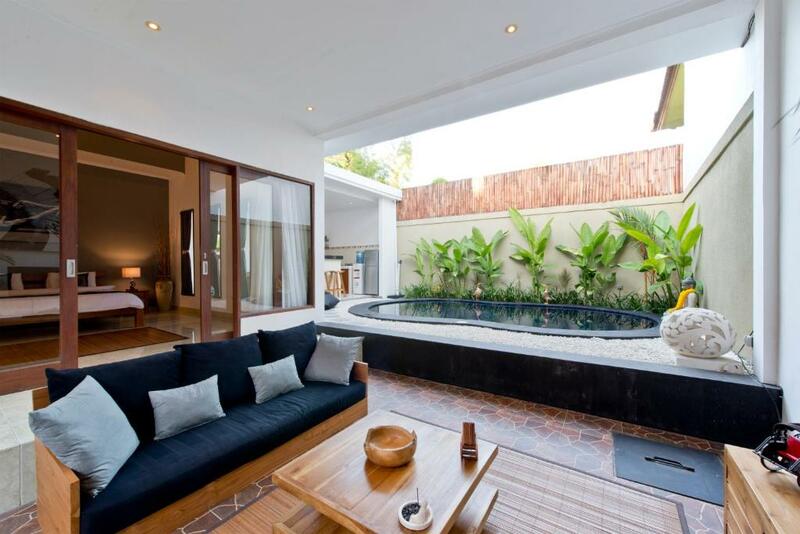 It is a perfect Villa for couples. The Villa is in good walking distance to restaurants and beach. We loved everything else about the villa!!! Close to restaurants and shopping. Aaron (the owner) was so friendly and so willing to help. We enjoyed having the place to ourselves. Spending time relaxing in the pool. The cleaner came every day around mid day. For the price we were really happy with what we got. We enjoyed our time there!!! This villa was so cool and stylish, and super large! The setting of the villa was really nice with the kitchen and living room outside and a nice pool. Unlimited free water was lovely. Air con worked a treat! Aaron was waiting for us at check in so that was great and communication was excellent. The villa was cleaned every day too, and the location was excellent! Everything you needed for 2 people. Would definitely stay again! I stayed here before and it was a great experience then. Private villa in a good location, next to a busy street of Seminyak. Nice swimming pool. Friendly cleaning lady. The property is as what it seems. With a nice little pool and interior is modern. Location is alright, around 10 minutes walk to the beach. We get to keep the villa to ourselves, having full privacy on our own with no disturbance from the owner / the cleaner and they respect our privacy a lot. Very thoughtful and should there be any questions / requests, all will be answered by the owner and he will try his best to fulfill them. Location was great. Private pool refreshing for those hot days. Nice pool and living room area. 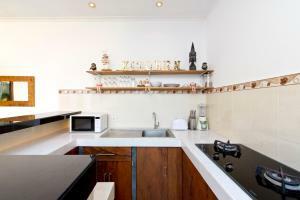 Very good location, close to shopping, cafes, bars, and the supermarket. 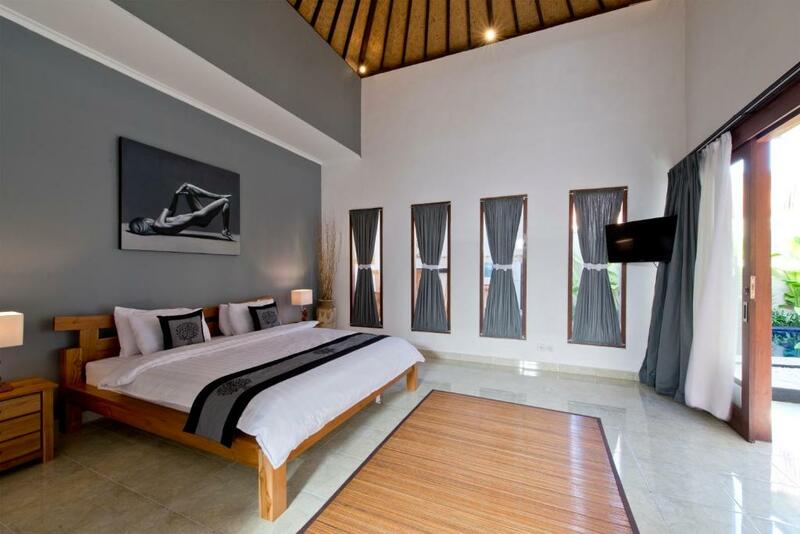 Beautifully villa about 400m off the main strip in Seminyak. We will certainly remember our time here fondly as we celebrated a special occasion in the villa. It looks just like it does in the pictures and is very private with high walls. The host (Aaron) is a real nice guy and is only too happy to organise things for you like massage, transport or private chef. Nothing is too much hassle and we appreciated his local knowledge of Seminyak too. The private pool is amazing as is the way the villa is designed, it makes the most of its space and has a really big bedroom. Lock in a great price for Villa Ozora - rated 8.8 by recent guests. One of our bestsellers in Seminyak! Offering a year-round outdoor pool and views of the pool, Villa Ozora is set in Seminyak in the Bali Region, 0.7 miles from Seminyak Beach. 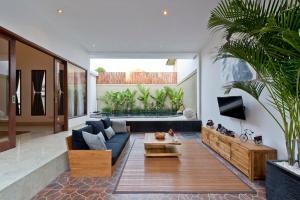 The Seminyak Square Shopping Mall is 0.9 miles from the property. Free WiFi is available throughout the property. Featuring a terrace, the air-conditioned accommodation comes with a seating area with a satellite flat-screen TV and DVD player. All units include a dining area and/or patio. All units feature a kitchen fitted with a microwave and toaster. There is a private bathroom with a bath and bidet in each unit, along with bathrobes. Bed linen is featured. Ku De Ta is 1 miles from Villa Ozora. 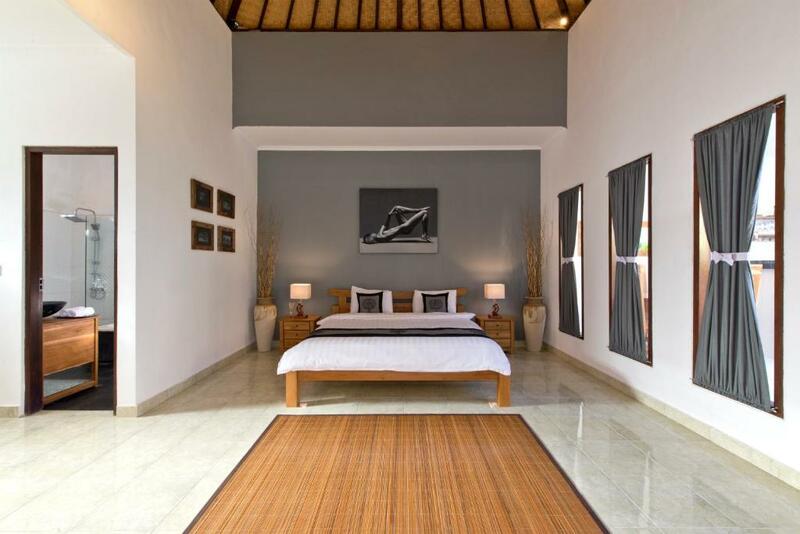 Villa Ozora provides free private parking available on site, and Ngurah Rai International is 3.7 miles away. Villa Ozora has been welcoming Booking.com guests since 18 Nov 2016. When would you like to stay at Villa Ozora? This villa has a sofa, toaster and tile/marble floor. 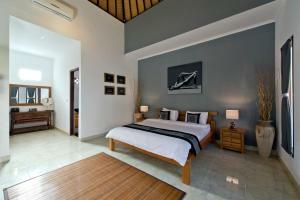 A modern, minimalist, spacious villa which offers each guest a luxury stay. 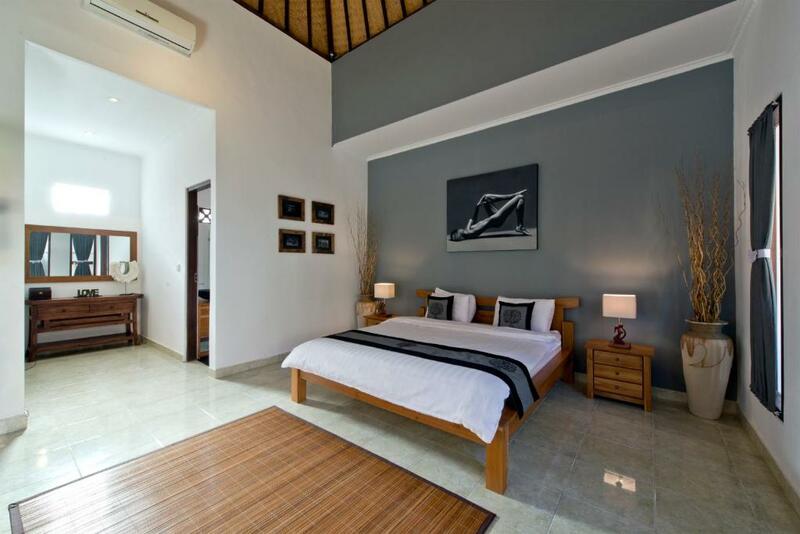 The villa is furnished throughout with the highest quality fixtures and fittings to offer not only comfort but style. You own slice of tranquil paradise. 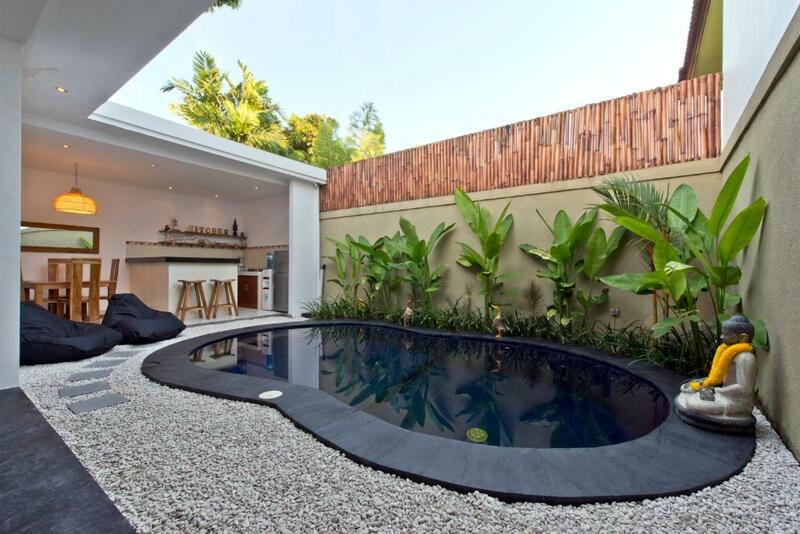 The villa is perfectly located in the heart of Seminyak with only a short walk to a number of beaches and a plethora of boutiques, bars, restaurant and nightclubs. I love the ocean, I enjoy to surf regularly eat health and a variety of other sporting activities. House rules Villa Ozora takes special requests - add in the next step! Villa Ozora accepts these cards and reserves the right to temporarily hold an amount prior to arrival. Please inform Villa Ozora in advance of your expected arrival time. You can use the Special Requests box when booking, or contact the property directly with the contact details provided in your confirmation. On separate days, the power cut off and the aircon was a little wonky. Aaron was quick to get someone down to fix it though. It can get a little noisy as the walls are not exactly sound proof. The room was exactly as portrayed. good location. host was friendly reliable and helpful. villa was cosy, clean and comfortable. Location is great. Near everything. Host easily to communicate. And very nice. Definitely we’ll be back again very soon. This is a superb villa! Clean new and Isha and her husband is so accommodating.. will definitely come back! Unfortunately there is a local pub outside the front of the property. On a few nights the locals would play loud music to early hours of the morning making it difficult to sleep. Parking not available so my car park in another place. Not so far just only 100 m, but a bit uncomfortable. Owner is very nice and they explain the details equipment in the villa. They give me late check out when im waiting my flight. The electricity kept on fluctuating whenever we use the bathroom. 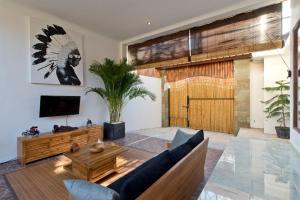 The location was perfect for walking around, it's near restaurants and other spots in Seminyak. The host was very gracious and accommodating.